You might have to enlarge the image to see what I'm about to describe. It looks to be a train engine. To the extreme left is the front, with 623 on it. Moving to the right, you can see the "smoke stack" (I don't know the proper terms) with smoke coming out the top and billowing farther right. Next you will see the cab of the engine, again with No. 623 on it. In the cab is a man with a cap facing the rear of the engine. Still farther right is what I would call a coal car with L & N on it. So, maybe Maud is not a woman. I'm not sure that he is the engineer of this locomotive, though. Since he's facing the coal car, could that mean he has more to do with that than driving? In this family, James Hambrick is the head of household with wife Ammie and children Mack C., Henry M., Will D., Henry S., and Willie M. Father James and oldest son Mack have occupations of Railroad Laborer. Henry M., who has the birth month and year that matches our Maud, is listed as a Day Laborer at age 17. 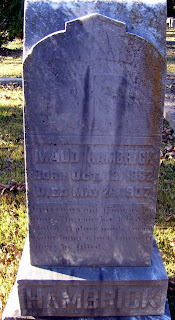 Could this be Henry Maud Hambrick who soon joined his father and brother in working on the railroad? It's a theory! 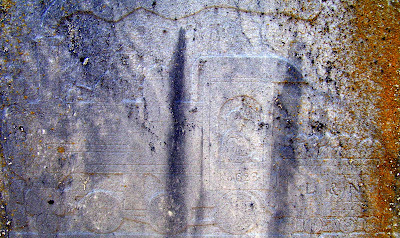 Nonetheless, the tombstone carving is pretty cool. 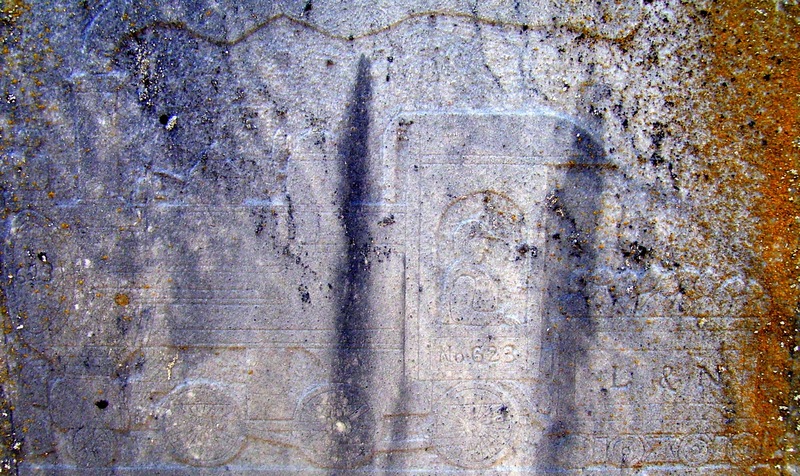 And, in case you were wondering, the Louisville & Nashville Railroad was chartered in Kentucky in 1850 and was one of the South's early railroads. It was in Georgia by 1881 and around the Atlanta area by 1902. You can learn more about them at Georgia Railroad History & Heritage.